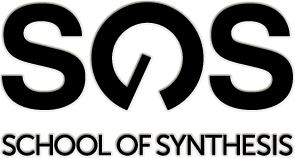 Melbourne's best music production school. Courses in Ableton Live, Logic Pro X, Sound Design, DJ, Mixing and Mastering, Music Production and Music Theory. Given the importance of plugins and the fact that we are overwhelmed by the abundance of them we thought it would be useful to discuss our favourite and essential VST plugins we use in our day to day work. DJ Indiana has been a DJ on the Melbourne scene for a few years and after doing the Ableton Live course and Modern Music Theory course she is now creating her own tracks and doing remixes and mashups. James talks about how his studies at School of Synthesis has helped him get his first release on a US label. We love his tunes - he is a great producer and vocalist. SOS Student Sandra Sundelin has studied several courses at School of Synthesis and here she discusses how her knowledge has helped her carve a career in the Melbourne music scene.